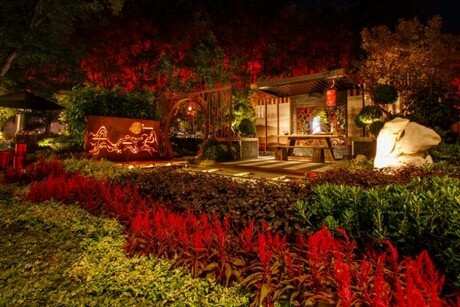 2019 marks the 24th year of the internationally recognised event, which unites the country’s most forward thinking and respected horticultural and floral designers, in addition to a host of interactive DIY workshops, retailers and one-off installations. 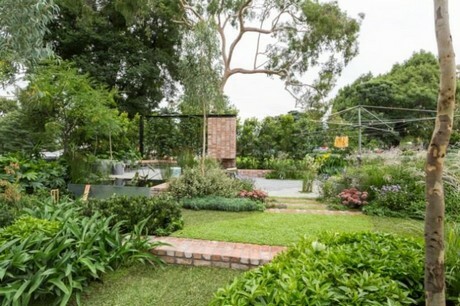 Cycas Landscape Designs’ Mark Browning will unveil his custom-designed 2019 Welcome Garden: an interactive space where visitors can centre themselves and plan their Show day, as well as hear exclusive interviews and seminars from some of the Festival’s most prestigious headlining talent. 2018 Gold Winner Adam Asceno is set to stun with the creation of a spectacular palace that has fallen into disrepair and been overtaken by plantlife. The Plant Society’s Jason Chongue will make his debut with the hotly anticipated Charlie and The Chocolate Factory indoor plant design installation. 2018 Gold Display Award Winner Collectors Corner return to the Show with another mystical and thought-provoking installation – further details to come! Whether eager to handcraft something for a loved one, or learn essential skills for flower arranging, The Melbourne Flower School will be helping visitors create plant-life masterpieces in their floral design workshops. Spaces are limited so visitors are advised to book tickets now. DIY enthusiasts will also have the chance to roll up their sleeves and get hands-on thanks to a number of complimentary workshops from power tool specialists Ryobi. Pioneers of heirloom sustainability The Diggers Club will bring a taste of their Heronswood estate to the Melbourne International Flower and Garden Show grounds, along with their annual cult favourite gravity-defying pumpkin installation. There is something to engage every sense in their garden, from samples of delicious heirloom fruits to the rainbow colours of their vegetable patch, tactile plants and the sound of buzzing bees and clucking chickens, as well as the sweet perfume of flower varieties that can’t be found in any other backyard. Those left inspired and raring to go by the Show Gardens – but in need of some vital logistical advice – should make a beeline for the Landscape Advisory Centre, where accredited professionals will consult on any building plans, ideas, photos and projects visitors are able to provide. Further floral insights can gleaned at the Main Stage, where Show-goers can enjoy a brimming program of complimentary seminars from celebrity landscapers, gardening experts, industry leaders as well as horticultural experts undertaking real-time demonstrations, and nail biting competitions. The Baptcare Shop Window Floral Design Competition is an open competition for florists, designers, stylists, students and enthusiasts. This year, entrants must draw inspiration from the theme “Home is where the heart is” to create a floral shop window display to impress the public and judges alike. The Nursery and Garden Industry Victoria (NGIV) will debut an all new educational kids zone designed by Richard Bellamo. The space encourages little ones to get their hands dirty with pot planting, along with a bike installation where children can pedal to generate a water supply for their plants.